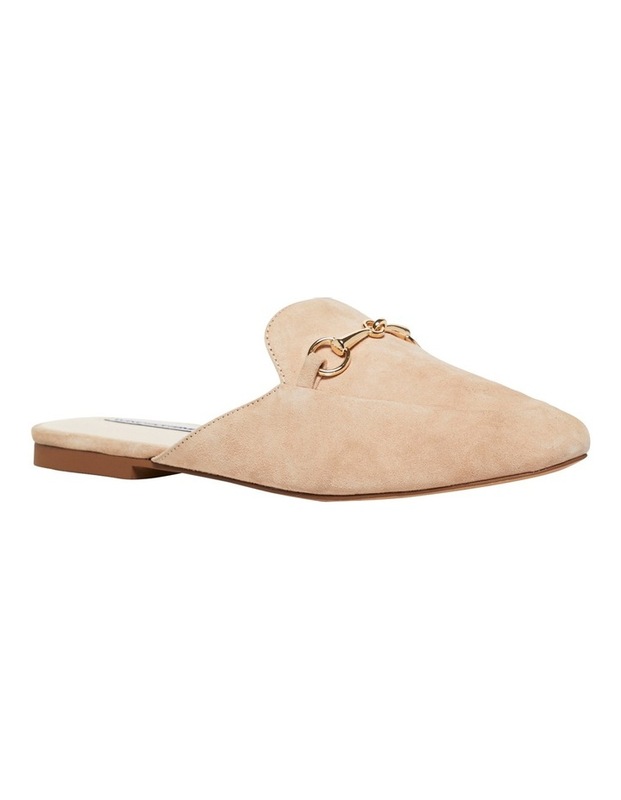 Windsor smith dree nougat sandal suede leather upper. Non leather lining. Horse bit hardware. 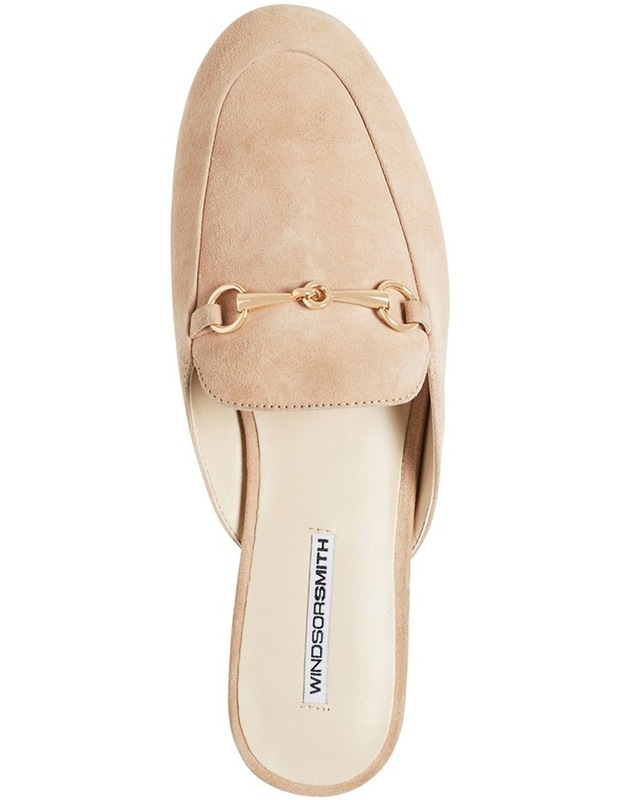 Slip on mule.